Large Blown blown beads in a Sasso or Pebble Shape, completely hollow inside with the signature Ca'd'oro appearance of leafed 24kt gold foil on the exterior. The size is a sphere approximately 30mm in diameter. 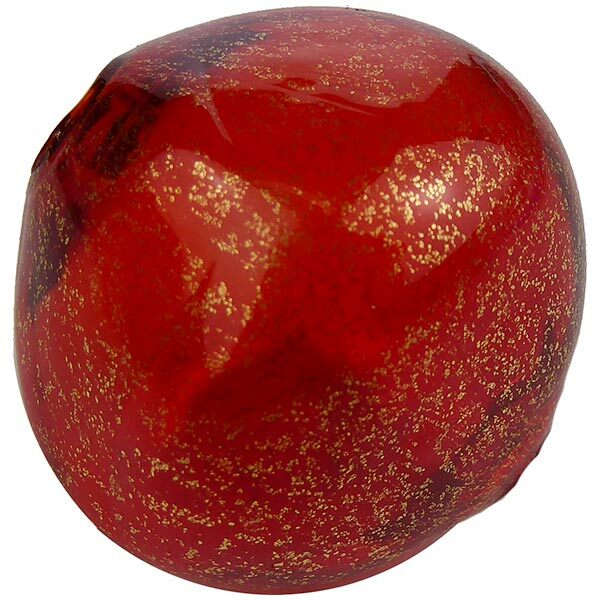 These are designed for focal beads and also are used often in Christmas ornaments or decorations. We have also used these on chandeliers, so it's up to your imagination. As they are hollow they are extremely lightweight. The hole in the center runs a nominal 2-3mm, however as they are blown, it varies. 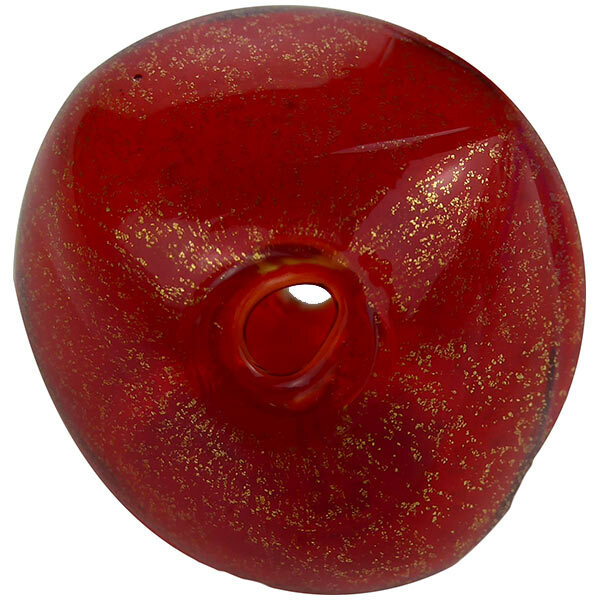 The color in this one is Red Murano Glass with Gold Foil.